The counties are the names of the boats, not where they start from! Click the map for routes, and the boat for details. Yorkshire's secret waterways offer a new discovery round every corner. Amazing scenery, friendly people, welcoming pubs, good shopping, history all around you, walks up into the hills - there's so much to enjoy. Our skilled instructors will make you confident to handle your boat. All our boats are suitable for beginners, and we give exceptionally thorough instruction, so you can feel confident. We have special routes for our experienced customers, including one way trips, rings and exotic trips. Wherever you go on the northern waterways, welcoming pubs beckon, on or close by the water. Country walks, historic buildings, museums and galleries, cinemas and swimming pools - there's loads to enjoy. We cover the northern waterways more comprehensively than any other fleet. 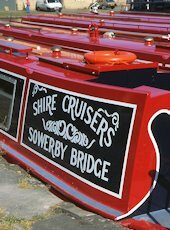 Our skilled and dedicated team will do all we can to give you a wonderful holiday on some of the most attractive waterways in England. Happy New Year, all at Shire Cruisers. Only a note to say how much I enjoyed our trip on Cornwall (skipper David Smith) at end Sept. The service was excellent and no problems at all with the boat. I would recommend the experience. 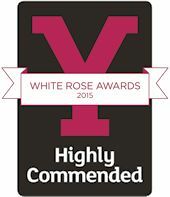 Fantastic accolade for our staff.